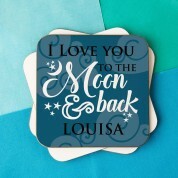 A brilliant and unique gift idea for someone that you love to the moon and back! 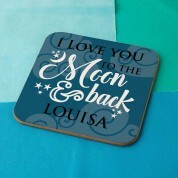 We think it makes a wonderful Valentines, Anniversary, birthday or Christmas gift for a friend, spouse or family member. 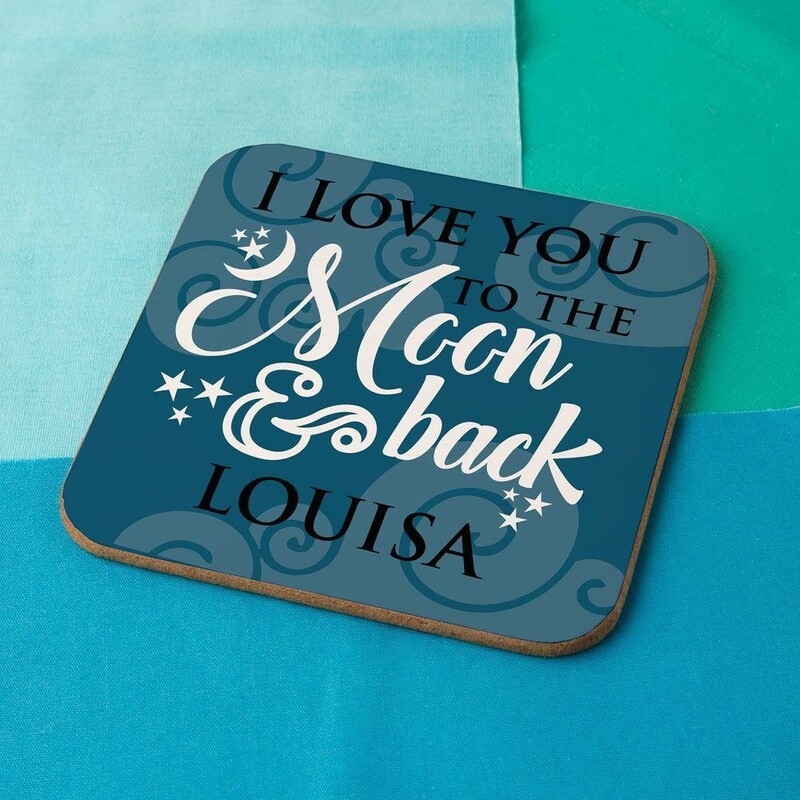 The personalised coaster is sublimated in house and reads “I love you to the moon & back” in a scripted font. The background is made up of twisted clouds and stars. 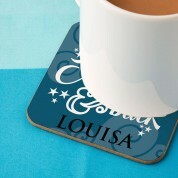 The recipient's name is included at the bottom of the coaster. They will love to remember how loved they are whenever they take a drink. At such a great price, we think this makes the perfect stocking filler when you are on a budget.